When she was in college, Patricia Hope, the daughter of a billionaire couple, was raped by an assailant still unknown today. She slipped into a deep coma that lasted nine months, and emerged like a phenix from its ashes miraculously transformed, with a body and mind optimized to superhuman levels. 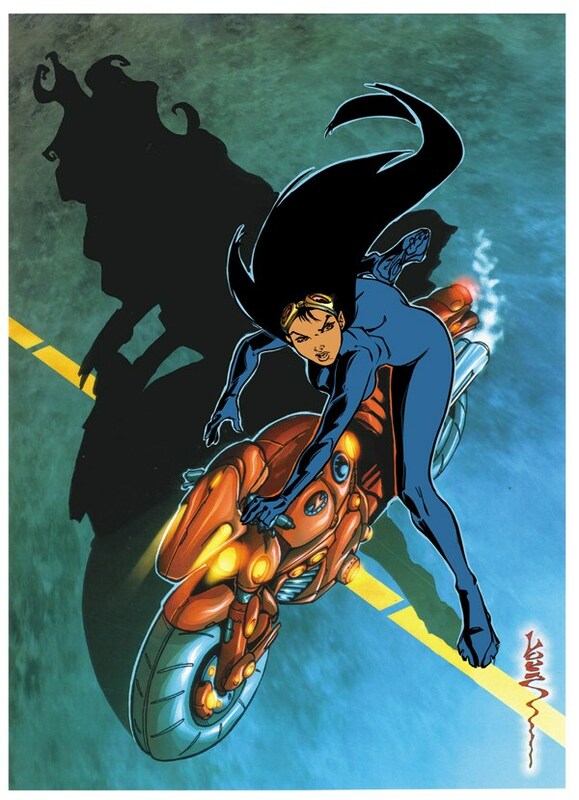 After that traumatic event, Patricia began leading a double life: being a leading Chicago socialite by day, and the black-clad, bike-riding crime fighter known as Phenix by night. She began helping Father Brown's local church and free clinic and date young Dr. Bobby Carter. After her parents' death in a plane accident, Patricia inherited a vast fortune and became the head of the Hope charitable foundation. She later broke up with Dr. Carter when the latter moved to L.A.
Patricia then shared her life with Dr. Douglas Sullivan, head of the E.R. at Saint Justin's Hospital. As Phenix, she occasionally teamed up with Sibilla. 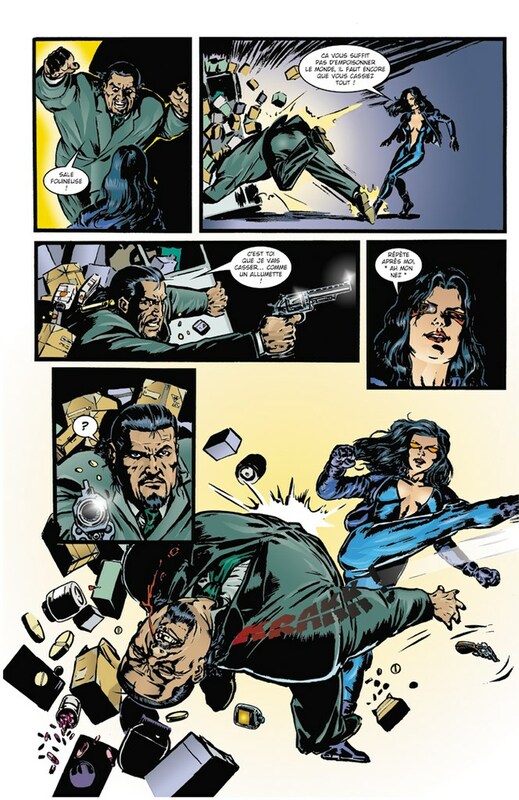 During a mission in Paris, she teamed up with theAce Brigade, but ran afoul of the criminal cartel Phantom and (literally) lost her head. She was "fixed" by Professor Quanter, who "improved" her body. She has since broken up with Doc Sullivan and assisted Tanka in Africa against Mohor of Anthar.